Note: Please note that we will engrave exactly what you add into the personalisation fields. 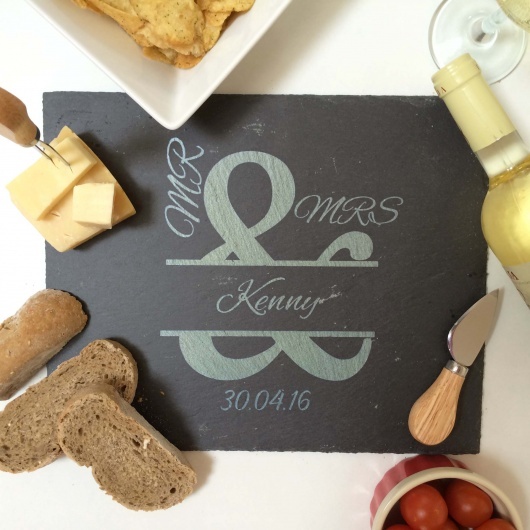 Fabulous personalised slate cheese board gift for the new happily married couple. 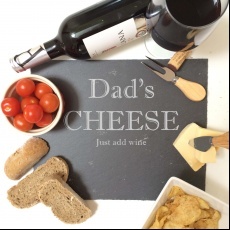 Beautifully engraved slate cheese board with a modern, contemporary design this is a great centre piece for any cheese loving couple! Please confirm the surname on ordering so we can personally design and engrave this for you.